Clemson quarterback Deshaun Watson, left, strikes a Heisman pose after the Tigers defeated UNC 45-37 in the 2015 ACC Football Championship game. Watson also won the Most Valuable Player Award for the game. Police have named the victims and are continuing to investigate a triple murder Friday in Pineville. Meanwhile, a driver suspected in a fatal hit and run last week on Pineville-Matthews Road has been charged after turning himself in to police. And Heisman Trophy hopeful Deshaun Watson put on a show before a record crowd at Bank of America Stadium last night, as No. 1 ranked Clemson defeated North Carolina for the ACC football title. Police are still looking for clues into the shooting deaths of three men Friday morning in Pineville. Officers were called around 10:30 AM to a home on China Grove Church Road near the intersection of South Boulevard and I-485. On Saturday, the victims were identified as 29 year old Naquivs Aqueece Benson, 28 year old Jarvis Benson and 30 year old Javarius McGee. A Charlotte Mecklenburg Police spokesman says the crime was not random, but he did not say if investigators have any suspects. 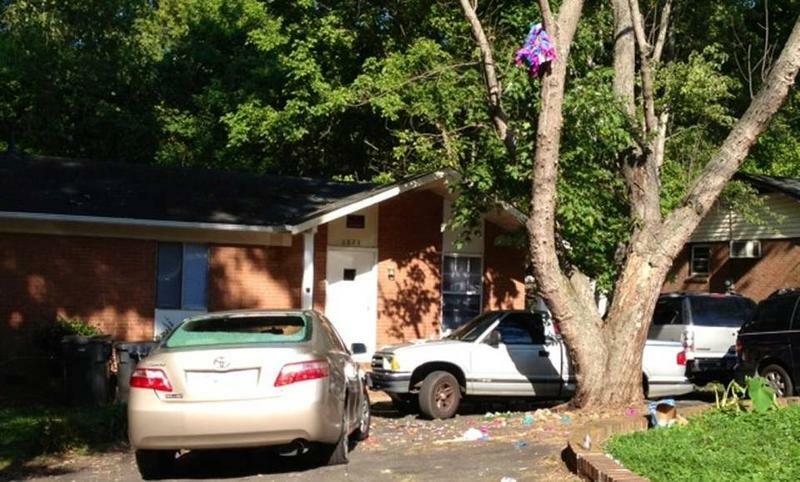 Anyone with information is asked to call Crime Stoppers at 704-334-1600 or visit http://www.charlottecrimestoppers.com. A driver suspected in a fatal hit-and-run crash on Pineville-Matthews Road last week has turned himself in. Charlotte Mecklenburg Police said 25-year-old Riccardo Jones confessed to being the driver in Wednesday’s crash after police found his damaged Infinity J30 in southeast Charlotte. He is charged with felony hit and run. The incident happened around 1 o'clock Wednesday morning, when a car struck a pedestrian, then fled the scene. The crash killed Jeanny Lamartiniere. She was 29 years old. Three lawsuits are challenging the long-standing ability of North Carolina sheriffs to fire their deputies at will. Critics say the practice lets some sheriffs run personal political fiefdoms where paychecks and patronage are connected. North Carolina's Supreme Court is scheduled to hear Monday from attorneys for four deputies who sued after they were fired by Mecklenburg County Sheriff Chipp Bailey. The former deputies said they were dumped for not donating to Bailey's 2010 re-election campaign. The Charlotte Broadcast Hall of Fame is at WTVI. 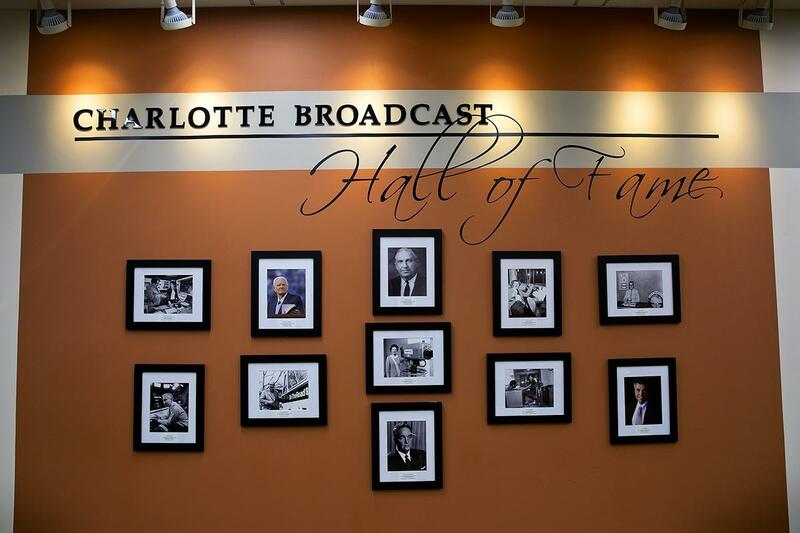 The Charlotte Broadcast Hall of Fame opened for tours this week. It’s in the studios of public TV station WTVI on Commonwealth Avenue. The Hall of Fame was first conceived in 2010 by staff from Central Piedmont Community College and community volunteers. The first honorees inducted in August and included big names in local broadcasting … from Grady Cole to Betty Feezor to the Rev. Billy Graham and Charles Kuralt. Weekday tours are free, but you’ll need a reservation. Listen to the Aug. 18, 2015, "Charlotte Talks" which featured the first class of inductees to the hall. A U.S. magistrate is allowing the American Airlines flight attendant accused of striking co-workers and federal marshals on an overseas flight to return to her New Hampshire home for a psychological evaluation. But 67-year-old Joanne Snow isn't allowed to fly there. On Friday, Judge David Cayer set a $50,000 unsecured bond for Snow, provided she visit a mental health treatment facility within 10 days for an assessment. Her lawyer said a reaction to a new medication may be to blame for Snow's behavior. Snow is accused of two federal crimes stemming from a round-trip flight between Charlotte and Frankfurt, Germany, on Thanksgiving. She faces a maximum penalty of more than 25 years in prison and a $500,000 fine. North Carolina's attorney general says about 1,400 mortgage borrowers will receive payments of nearly $2 million from SunTrust, which wrongly foreclosed on them. Attorney General Roy Cooper said Friday that North Carolina consumers are eligible if they had mortgages serviced by SunTrust, lost their homes to foreclosure between Jan. 1, 2008, and Dec. 31, 2013, and applied for relief by the June 4 deadline. Payments should arrive in early December. clubs. The season would likely run from Sept. 1 to Oct. 1. Nine public hearings are scheduled early next year. At the ACC Football championship in Charlotte last night, No. 1 ranked Clemson beat eighth-ranked North Carolina 45-37. Heisman Trophy hopeful Deshaun Watson threw for 289 yards and three touchdowns and ran for two other scores. Watson's 420 total yards and five total touchdowns set ACC championship game records. The win assures the Tigers a spot in the College Football Playoff. Playoff pairings were to be announced Sunday. An ACC championship record crowd of 74,514 saw the game at Bank of America Stadium. See more coverage in the Charlotte Observer. The Charlotte Hornets picked up a win in Chicago last night. Nicholas Batum has 24 points as the Hornets beat the Bulls, 102-96. The Charlotte Checkers fell to the Ontario Reign, 3-to-1. And the Carolina Panthers have won a team record 15 straight games going back to last season. They’re in New Orleans today trying to make it 16 straight – including 12 this season. New Orleans has 4 wins and 7 losses so far. Game time is 4:25. It has been a deadly Labor Day weekend so far in Charlotte, with five people killed in four separate shootings amid a wave of gun violence as of Sunday morning. A 7-year-old boy was shot to death and three other people were injured at a home in southwest Charlotte Saturday night.